Hey! Freshers should keep in mind that they are to resume latest this week Saturday with all their documents as lectures and clearance will begin on Monday the 8th of January 2018. 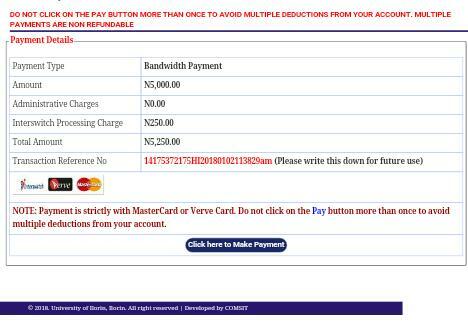 You should keep in mind that payment of bills will begin "immediately" I repeat immediately after you have been cleared. 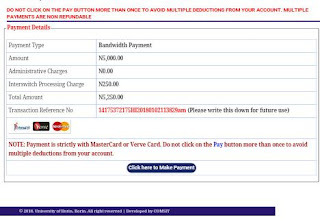 This is to show that payments of bills has commenced for those that have been cleared. Freshers that where not cleared on the account of O'level result should not panic as they will be moved to another department and should also proceed to the school to meet their LA. It is only those that were told on their portal "not registerable for any program" that have forfeited the admission. Also, remedial aspirant should keep in mind that remedial form closes on the 10th of January, 2018. Aspirants are told to obtain their form before then as the dead-line might not be extended. 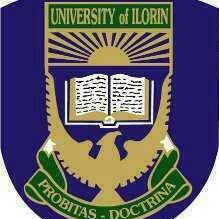 The last batch of UNILORIN admission list will be release this January probably before 15th. Stay glued to your portal. Share this to all aspirant via the share button below and also post your questions in the comment section below! !